Of these, 33 fall within either the 250k-300k or 500k-550k range. The reform represents good news for the sellers of these properties, as under the old system their true value was often distorted due to buyer's reluctance to offer above the thresholds, where the increased rate applied to the entire value of the property (3% at 250k and 4% at 500k). With many buyers struggling to raise a large enough deposit to secure a mortgage, the reduction in stamp duty from £7,800 to £3,000 on a £260,000 property will have a significant impact, with greater demand anticipated in cheaper areas such as the Solon New Road Estate and the Clapham Road Estate. First time buyers will hope to compete for properties which would usually be snapped up by buy-to-let landlords. Clapham will, however, feel the negative effects of the reform far more than neighbouring Brixton and Stockwell. In upmarket areas such as Abbeville Village and Clapham Old Town, buyers are going to feel the pinch, and this could have a knock-on effect further down the chain. 95 properties in SW4 are on the market with asking prices in excess of £925,000. The majority of these are 4+ bedroom family homes on streets such as Cautley Avenue, Narbonne Avenue and Lillieshall Road. 40 of the 95, on streets such as The Chase and Macaulay Road, have asking prices in excess of £1,500,000. At that level, buyers are at least £18,750 worse off. It's fair to assume that in the short term at least, they may look to offset this loss by making slightly lower offers. 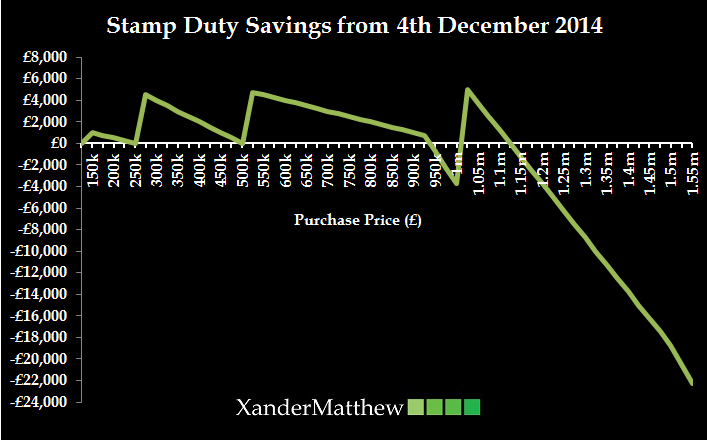 If you have any questions regarding the stamp duty reform, or you'd like to know how it might affect your property, give me a call on 020 3397 2099 or email me at jeroen@xandermatthew.com.